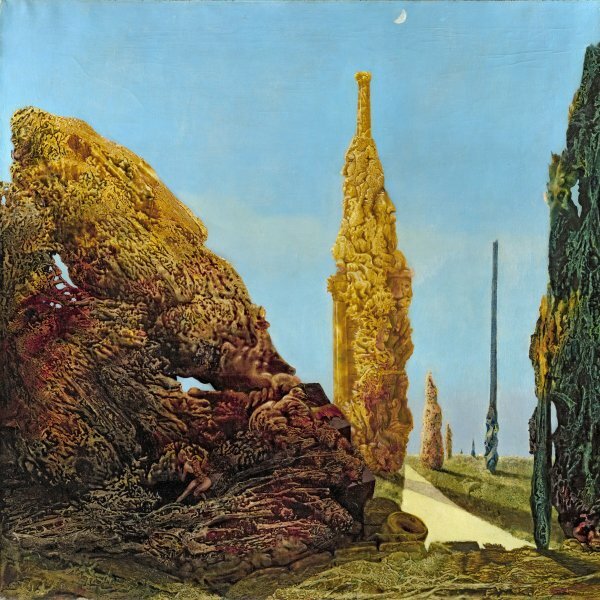 The life of the German artist Max Ernst was connected with the development of Surrealism and, following the outbreak of the Second World War, the dissemination of the European avant-garde in the United States. A self-taught artist, Ernst studied art, philosophy and psychiatry at the University of Bonn. He started out as an Expressionist painter together with his friend August Macke, but his disillusionment with the bourgeois values that had triggered the First World War led him to join the Berlin Dadaist group in 1918. He established contacts with the Dadaists of Zurich and Paris and a year later became the main driving force behind the Cologne Dadaist group. During those years his artistic method was a characteristic type of collage made from cuttings of old prints. After making the acquaintance of Paul Éluard and his wife Gala in Cologne, in 1922 Ernst went to live in Paris, where he frequented André Breton’s Surrealist group and developed a type of painting based on semiautomatic techniques such as frottage, which involved placing a piece of paper on a specially textured surface and rubbing it with a pencil, and decalcomania. The latter technique, invented by Óscar Domínguez in 1935, helped him create interplays of textures that gave his landscapes a devastated appearance. In 1938, after leaving the Paris Surrealist group out of solidarity with Éluard, Ernst went to live with Leonora Carrington in Saint-Martin d’Ardèche, north of Avignon, where the couple refurbished a house, filling it with reliefs, sculptures and paintings. When war broke out Ernst was gaoled on account of his German nationality. After escaping and being imprisoned again several times, Ernst was finally released and decided to head for the United States. 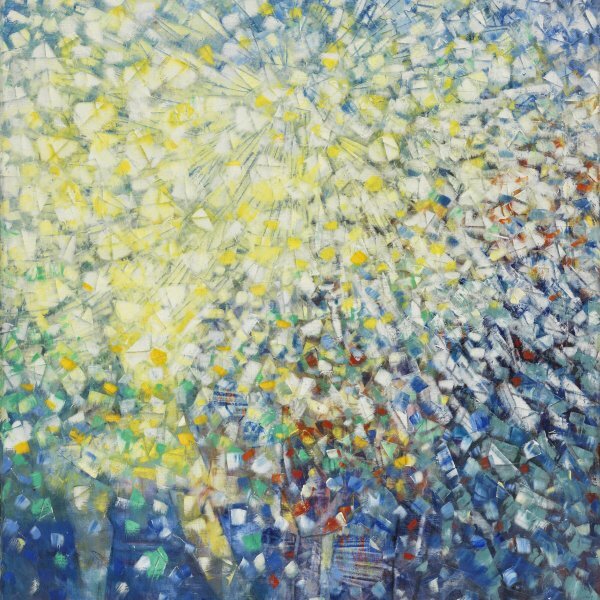 After overcoming all kinds of setbacks, he at last arrived in New York in July 1941, where not long afterwards he married the collector Peggy Guggenheim, who had helped him flee from France. 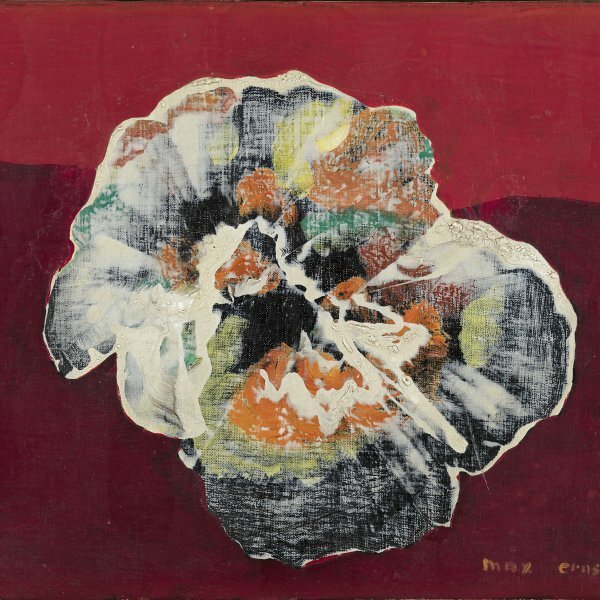 Ernst returned to Paris in 1953 with his new partner, Dorothea Tanning, and obtained French nationality in 1958. He spent his last days in Seillans, in the south of France.